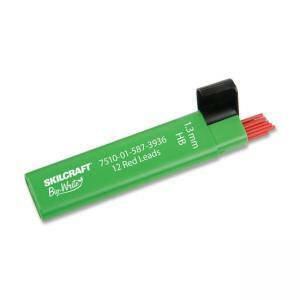 Lead refill is designed for use with 1.3mm Skilcraft Bio-Write Mechanical Pencils. Unique 1.3mm lead is virtually unbreakable under normal use. Lead holder is a 100 percent bio-based tube made from renewable cornstarch. The empty tube is compostable when placed in composting conditions. Tube design is one piece with a flip sliding cap to prevent the loss of the cap.